Swinging into the Paroo River. 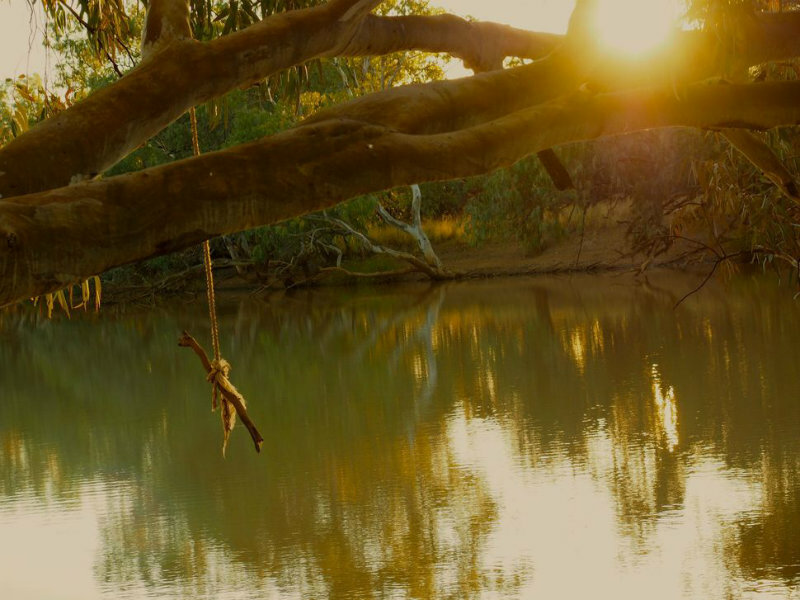 This swing is at The Pump Hole on the Paroo River, north-east of Hungerford in far south western Queensland. The Paroo is a place for relief from the relentless western summer, a place to catch yellow belly to eat. A place to swim and play. A place to rejuvenate. via ABC OPEN: Swinging on a rope into the Paroo || From Project: Snapped: Water. Can’t you just imagine swinging on the end of that rope, not by the neck, of course.